Can Iron Supplements Be Taken Safely With Adderall? Minerals, such as iron, are important for your body to function properly. If you have low levels of iron in your body, you can develop anemia, making you feel more fatigued. Taking iron supplements can help, but there is a complex interaction between the amount of iron in your body and your thyroid function. If you have low levels of iron in your body, it can cause your thyroid to not work properly. According to a 2002 article in "Thyroid," a lack if iron can reduce the function of your thyroid gland because some of the enzymes needed to produce thyroid hormones require iron. Thus, taking iron supplements may be able to help you improve the function of your thyroid, though you should talk to your doctor before taking iron supplements to treat hypothyroidism. Not only can iron deficiency affect your thyroid function, the health of your thyroid can also affect treatments for iron deficiency. A 2009 article in the "Journal of Clinical Endocrinology and Metabolism" found that people who had iron deficiency anemia and low thyroid function do not respond as well to iron supplements. As a result, you may need to take synthetic thyroid hormone supplements as well as iron supplements to treat iron deficiency anemia. 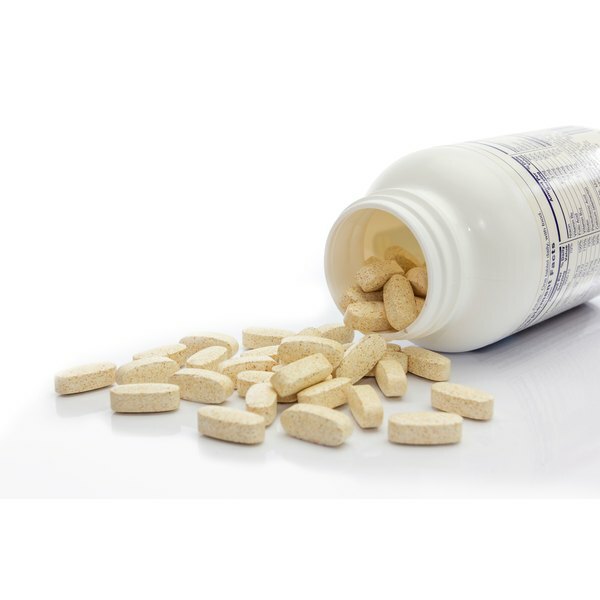 If you have a poorly functioning thyroid, you will probably need to take synthetic thyroid hormone supplements to boost the levels of thyroid hormone in your body. However, synthetic thyroid hormone, also known as levothyroxine, can bind to some kinds of iron supplements. This can reduce the effectiveness of your thyroid medication. For best results, talk to your doctor before taking an iron supplement and try to separate doses of iron supplements and thyroid hormone by two to four hours. If you have too much iron in your body, you may develop a condition known as hemochromatosis. Hemochromatosis causes iron to accumulate in different tissues in your body. If iron accumulates in your thyroid gland, it can impair the function of this important gland, resulting in hypothyroidism. This occurs in approximately 10 percent of people who have hemochromatosis. What Causes Too Much Iron in the Human Body? Can Vitamins Make Me Constipated?